Outdoor enthusiasts and grassroots trail groups from across the state gathered recently in Albany for Trails Advocacy Day, a day of legislative advocacy on behalf of New York’s growing multi-use trail network. The day’s activities were organized by New York’s leading trail advocacy organization, Parks & Trails New York, in partnership with Rails-to-Trails Conservancy, Scenic Hudson, the Trust for Public Land, and REI. Trails Advocacy Day came at a pivotal time for New York’s rapidly developing trail network. With the massive Empire State Trail project approaching completion in 2020, advocates outlined the “Trails Across New York” agenda, including next steps necessary to fully connect the state’s trails network. Key asks included legislation to create a comprehensive trails planning process (A5035 / S4416) and funding to extend access to the Empire State Trail to millions more New Yorkers with a Long Island extension. Trail groups also championed regional and local trail projects, and supported legislation to improve bicycle and pedestrian safety on roads and trails, namely closing the loophole in the state’s Complete Streets law (A6029 / S1549). Slated for completion in 2020, the Empire State Trail will create the nation’s premier multi-use trail – a full 750 miles of off-road trail and safe on-road connections. This initiative will secure New York’s place as a destination for outdoor recreation and heritage tourism, and contribute substantially to New York’s economy. 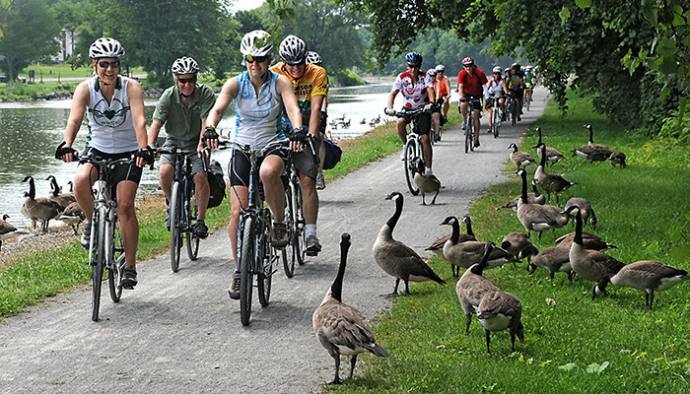 The Erie Canalway Trail, a main component of the Empire State Trail, already generates $253 million in annual economic impact and supports 3,400 jobs across Upstate New York. At more than twice the length of the Erie, the Empire State Trail is projected to have a significantly larger economic impact. Extending this marquee trail to millions of Long Island residents will increase these gains, as well as addressing a vital need for safe, off-road recreation and transportation options. “With completion of the Empire State Trail scheduled for 2020, New York needs a coordinated statewide vision and blueprint to guide future investments in multi-use trails, and a dedicated funding source to set those investments in motion,” said Robin Dropkin, Parks & Trails New York Executive Director. Parks & Trails New York is the leading advocate for New York’s parks and trails, providing a voice for parks and trail users and supporters with decision makers and the environmental community. 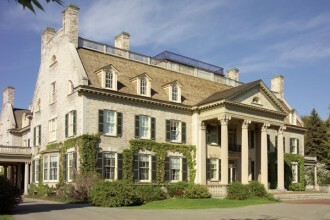 For more information, visit www.ptny.org.